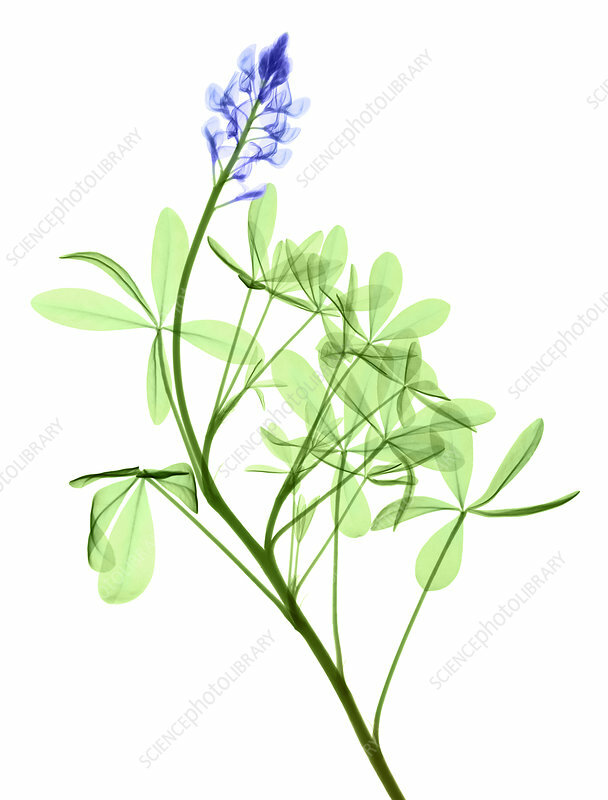 Colour-enhanced X-ray of Texas bluebonnet plant (Lupinus texensis). Bluebonnets are the state flower of Texas. This species is a Texas endemic, being limited to Central Texas where it puts on a world-famous spring floral display along roadsides and in fields and pastures.